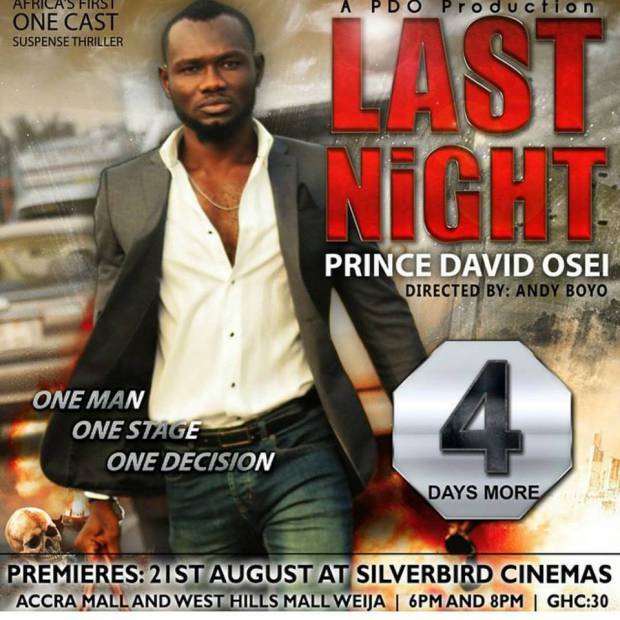 This weekend Last Night premiers and this film, directed by Andy Boyo and starring Prince David Osei, was described by some circles as “historic” simply because it is tagged as being a one man cast film in the general sense. A load of rubbish hype if you ask me. An admittedly interesting and ambitious movie is being released not the declaration of independence – bruh. I struggle to recall a film with the tag “historic” (aside probably landmark features) because no one attaches such asinine levels of importance to film but alas the hype machine must roll on. The negativity aside, I am intrigued by the level of execution that will be employed by Boyo as he tells the story of a duplicitous radio presenter (Osei) who favours a certain white dust going against his public persona. I don’t have high hopes for it but I will be seeing it and putting up a review. Low expectations never killed anyone. Going by the film’s trailer it looks to have cannibalized aspects of the Paul Steven Conroy’s Buried and Stephen Knight’s Locke (a film I liked very much) so the originality ribbon is already lost but I did like the lighting and apparent atmosphere as shown by the trailer. There, something positive. Also is theatres is The Man From U.N.C.L.E so if Last Night doesn’t go well Guy Ritchie’s film can serve as a pallet cleanser. I have always watched, with very little envy, people go on about how great the Star Wars series was and blah blah blah but after Disney’s bi-annual convention D23, where a number of big reveals where dropped (Pirates of the Caribbean: Dead Men Tell No Tales, Captain America: Civil War, Star Wars: Episode VII – The Force Awakens) the news, and more precisely the poster/cast photo, for the series spinoff (now officially) Rogue One: A Star Wars Story caught my eye. The movie formerly known as Star Wars: Rogue One or Star Wars Anthology: Rogue One is being directed by Gareth Edwards of the terrific Godzilla fame and it will be scripted by Chris Weitz and has stars Felicity Jones, Donnie Yen, Ben Mendelsohn, Forest Whitaker, Riz Ahmed, Diego Luna, Jiang Wen and Alan Tudyk on the bill and they can be seen in the first official cast photo which won me over. Promising art direction, intriguing grit to the style and an underpinning harshness kind of make this an interesting proposition and I particularly like Donnie Yen’s look. 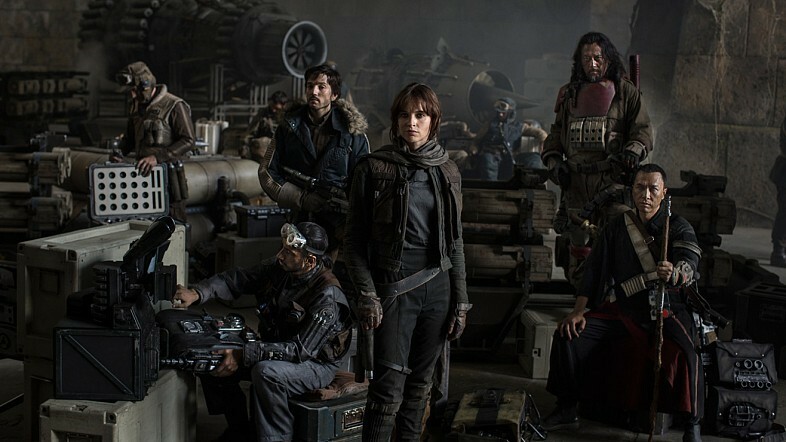 Rogue One has begun principal photography in readiness for its release next year and I’m game. Anyone game for a new post-apocalyptic Zorro? Well the Hollywood Reporter says a movie in which the masked outlaw exists in a post-apocalyptic future is heading to cinemas the big screens. Zorro Reborn it will be called. Shooting is believed to start in March 2016 and reports say there won’t be much of deviation from writer Johnston McCulley version of the character who basically swore to defend farmers and peasants against oprresion in early 19th century Spanish-owned California. The most recent incarnation of Zorro saw Antonio Banderas don the iconic black mask in The Mask of Zorro (1998) and The Legend of Zorro (2005) and he was extremely enjoyable with the right levels of charisma and character you would expect. Zorro Reborn movie was previously set up at studio 20th Century Fox (thank God), with Mexican actor Gael García Bernal in the lead but there are no casting details as yet for this reboot. So once again we have to go and cannibalize of the past but come on guys, some of us came a little when the news dropped and Zorro is a far cry from the CGI comic book adaptations so yeah, I’m game. The low key nature of this film has feelings of Dredd3D and lord knows that was impressive work. If the studios don’t sink their claws into this it could be pure vision and the world will become a better place. Rock steady people! 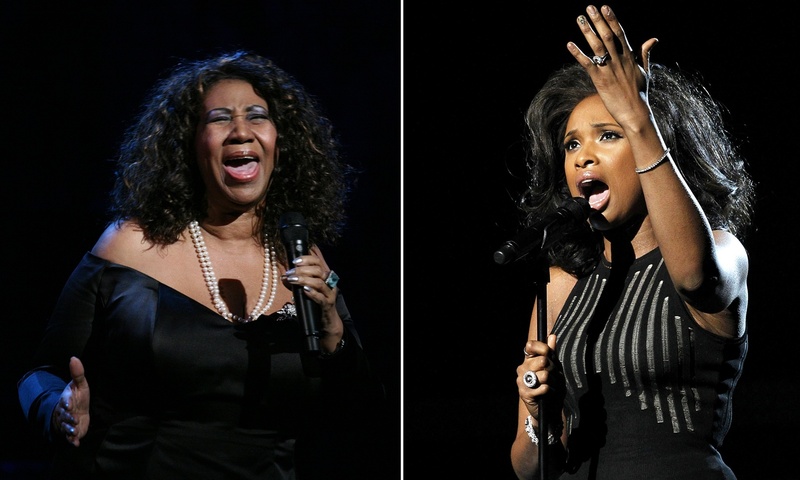 Oscar-winner Jennifer Hudson is in early discussions to take on the role of Aretha Franklin in a biopic from the producer of Straight Outta Compton. According to TheWrap, Hudson is the favourite to play the Grammy-winning soul singer and a representative has confirmed that conversations have been taking place. I hope she gets it or maybe the powers that be can troll black people worldwide and cast Christina Aguilera – silly I know. Things are still in the works and no director has as yet been attached but I have utmost confidence Hudson will bring the requisite energy for portrayal of the Queen of Rock and Roll. Hopefully puts on some weight too. I miss the old Jenny Hudson, I really do. Let’s end this week with some Christian cinema. Octavia Spencer will be next in the long line of thespians who have tackled the role of the big guy himself – God. The Oscar winner has been attached to the adaptation of a best-selling Christian thriller called The Shack written by William Paul Young. This film tells the story of a man who receives a note from God concerning his missing daughter. She has acknowledged she has “huge shoes to fill” and finds the opportunity “overwhelming”. The Shack will also star Sam Worthington, Graham Greene and Radha Mitchel with directing duties falling on the laps of Stuart Hazeldine who did the clever and taut Exam so I trust he is capable of handling the thriller elements well. It will be interesting to see his approach to the more faith based elements on this film seeing as he had a hand in 2006’s Knowing and a script based on Moses in 2011. The Shack was Young’s first published book and has sold more than 19 million copies worldwide. John Fusco, best known for writing 1988’s Young Guns, adapted film’s screenplay adaptation and there is no release date. A compelling Christian film is hard to find but last year saw Heaven is For Real extremely moving and this film arguably shows more promise. God willing it comes out well. Give the blog a follow and a share. I did a blog on Ghanaian cinema and reviewed debbie tucker green’s brilliant Second Coming. Check them out. Next Post FILM REVIEW; THE MAN FROM U.N.C.L.E.